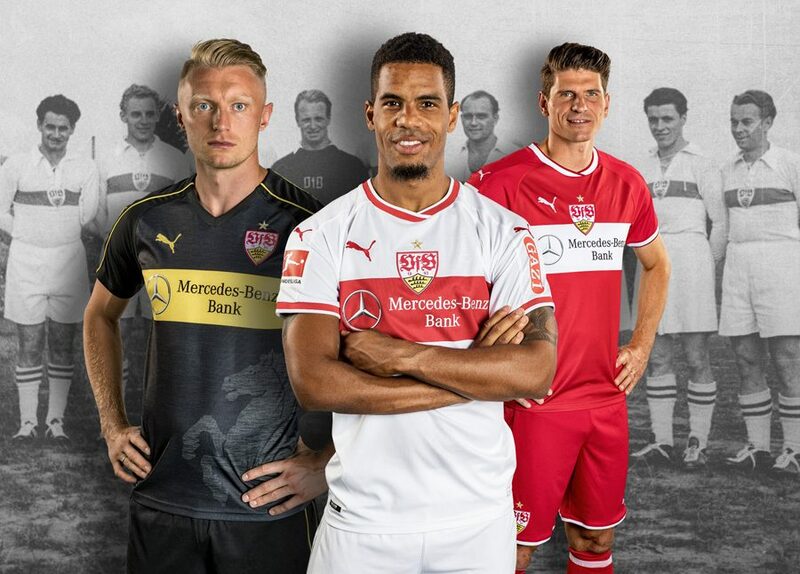 The VfB Stuttgart 2018-2019 away jersey has been released some weeks ago. Dubbed the ‘rote Cannstatt Trikot’ (‘red Cannstatt kit’ – Stuttgart’s home stadium is located in the Stuttgart Bad Cannstatt city district, it features a similarly classy look as the home jersey that was launched in April and celebrates the 125th anniversary of the club with a retro-infused look. 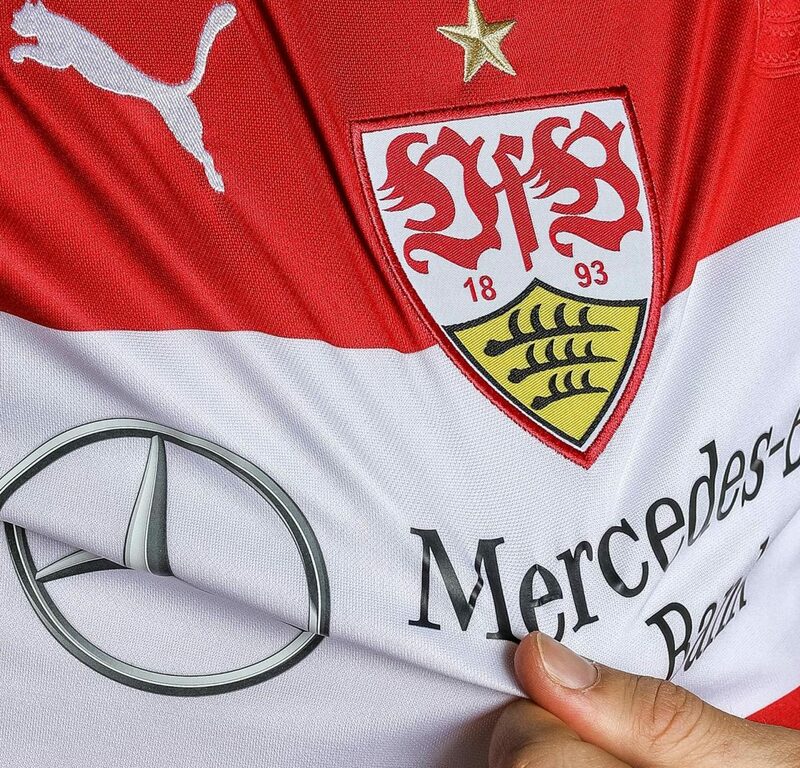 An instant classic, the Stuttgart 18-19 away jersey is predominantly red with a white chest band. Just like on the home uniform, the club crest is larger than usual and placed centrally. 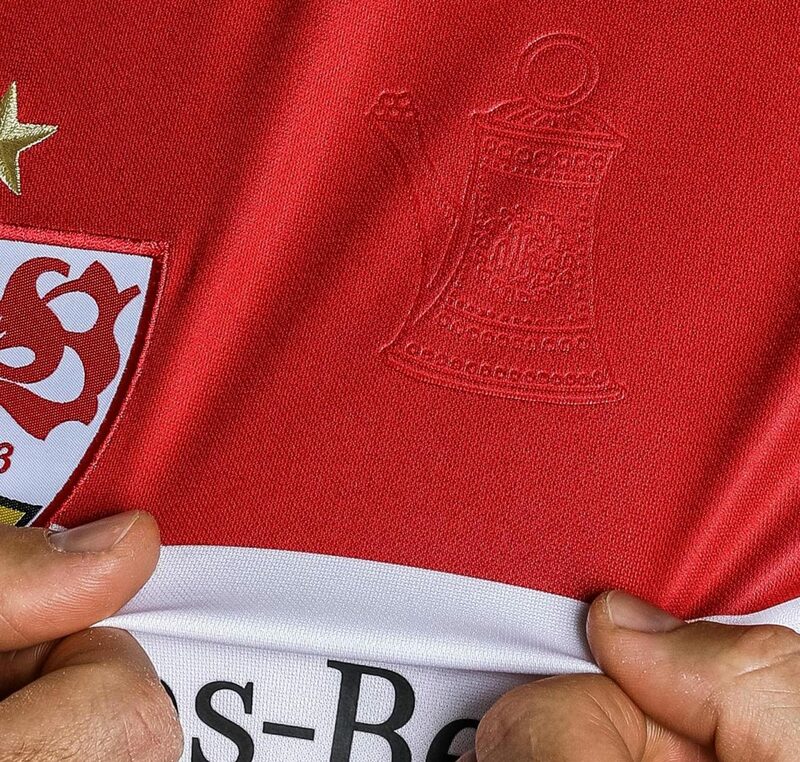 Stuttgart’s 2018-19 away kit kit features various bespoke details. The Cannstatter Kanne from the coat of arms of the city of Stuttgart depicted as a tone on tone embossment on the left chest and the style of sleeve cuffs and collar pays homage to historic VfB jerseys. Red shorts and socks complete the kit.